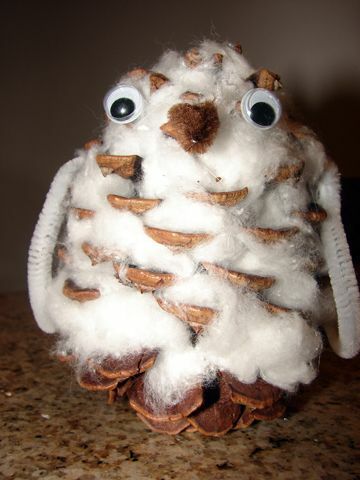 Create fluffy, adorable snow owls to decorate your home with when you play with the Snowy Pine Cone Owl. Using this craft, you and your kids can transform an ordinary pine cone into a peaceful snow owl with ease. The kit comes with all of the stuffing material and googly eyes you need to bring the owl to life.